Trucks have always been a part of the American automotive landscape, but in the 1970s they somehow became cool. 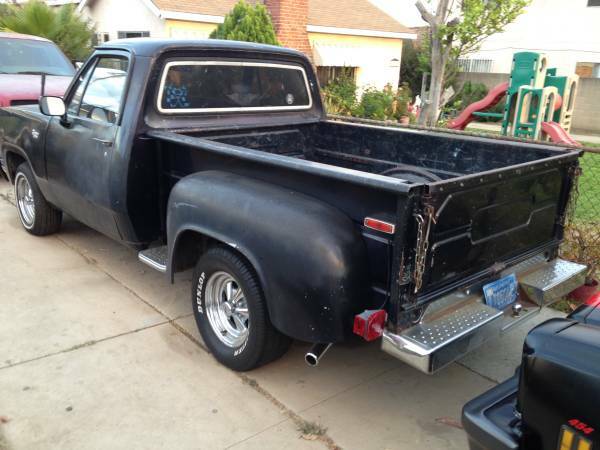 If you need a truck, and you want something that doesn’t have to be smogged in California, you might want to look into this 1975 Dodge Custom 100 Stepside for sale for $4000 or $4900 in Montebello, CA. This post is part of DT's 2016 Birthday Celebration of 100 cars; enjoy the ride! This thing has some furry-ish black paint that looks original. 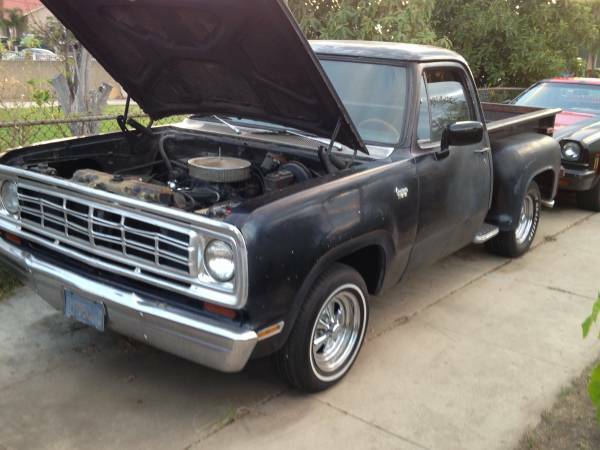 The truck doesn’t show any rust, everything looks nice and original. The bed of the truck looks like it might retrofit right onto a 1961 Dodge truck. 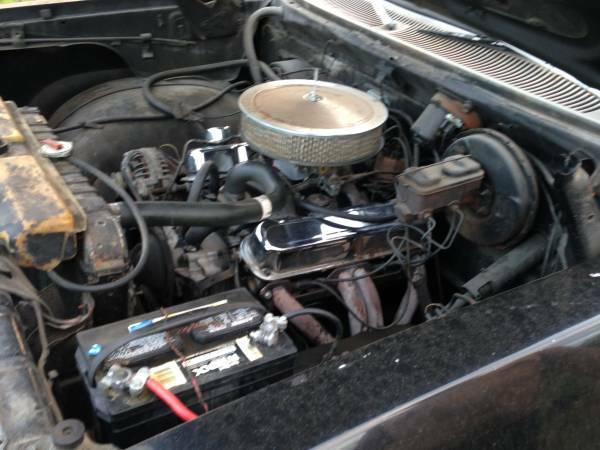 The engine looks relatively tidy for such an old vehicle. There is a nice chrome air cleaner and some janky looking battery cable repairs. A nice vacuum brake booster should help with stopping, and the crusty headers look like they are good to go. 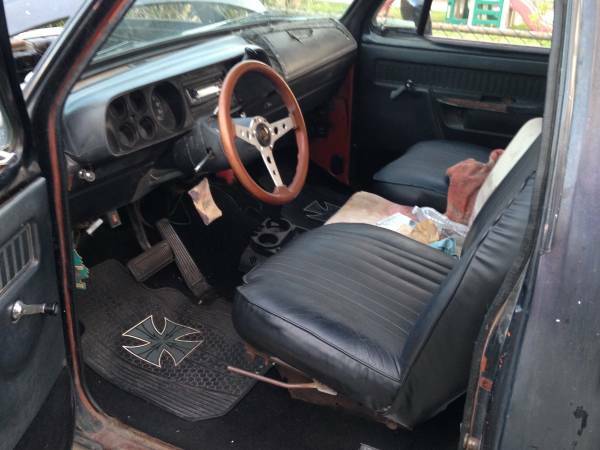 The interior looks ok from the craigslist photo, but several issues are visible. The driver seat looks like it is pointing towards the right. Black tape is visible on top of the dash over the glove box. A cool wood steering wheel is visible, and a nice Walmart cup holder center console is visible. Couldn't find a Little Red Wagon?